We had just enough time on a sunny day to take a trip back to Gaff Point. 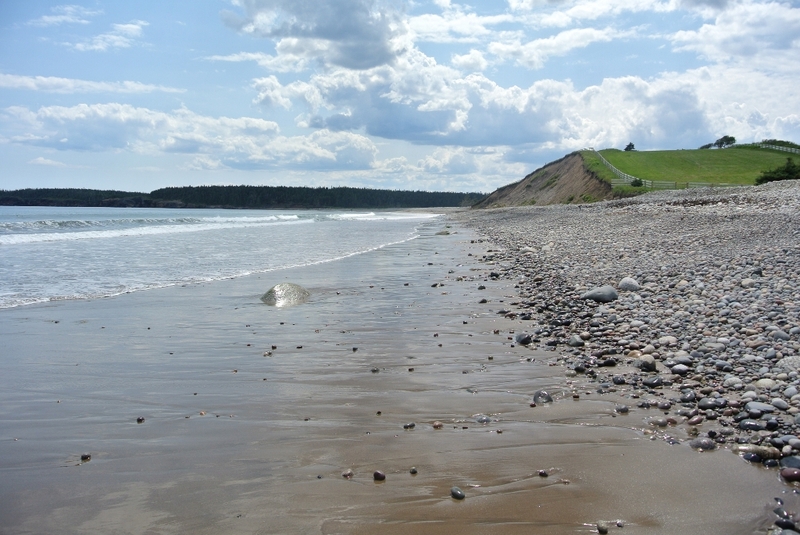 The trail is located behind Hirtle’s Beach, outside Lunenburg, Nova Scotia. Gaff Point never disappoints, and on this sunny day it was again spectacular. We moved fairly quickly on this day and didn’t take any breaks and it took us approximately 1hr40min return from the parking lot. Hirtle’s is a long sand beach with a shallow swimming lake behind and spectacular scenery. The area has a long history of conservation efforts. 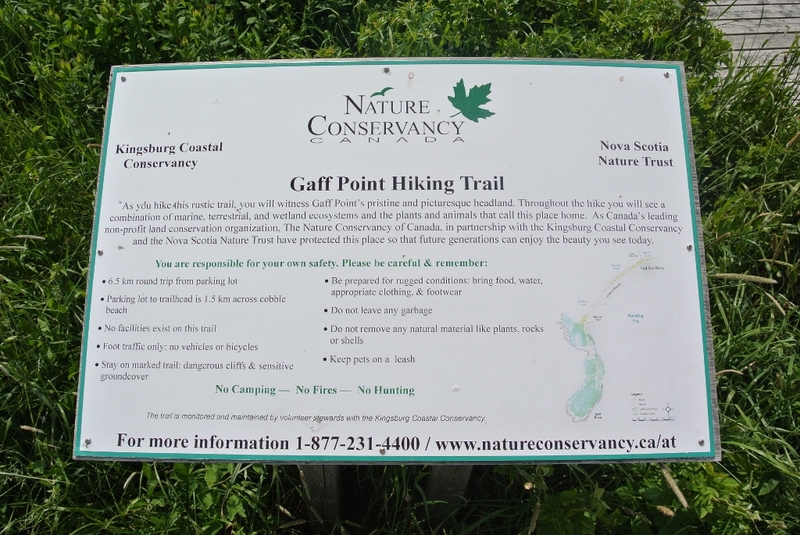 The Kingsburg Coastal Conservancy currently stewards the trail under agreement with Nature Conservancy Canada, though the trail signage indicates that many other groups were involved in the early protection efforts. Once you reach the end of the sandy beach and step up over a small bit of rocky shoreline, the trail is easily followed up a small incline through a forest showing generational transition of the trees. The trail is clearly blazed with yellow paint. It’s just a short walk to the first open area with views back to Hirtle’s Beach and out toward some of the many islands that dot the area. It’s near this point that there is a detour off to the left which goes over toward a hidden beach, which is accessible by climbing down a rope. This is not part of the official trail. Shortly after the trail re-enters the woods, it splits into a loop. On this day we chose to go clockwise. Volunteers maintain this trail impeccably, including adding logs to harden low muddy areas. The trail emerges onto rocky shoreline for a short stretch over variably-sized rocks before reaching the headland. A plaque denoting the area, “William E Schwartz Memorial Point” was dedicated in 2004. Around the headland the trail re-enters the forest. In places, bridges have been built over the boggy areas. These photos don’t capture the diversity of the trail or the incredible shoreline views from the headland. Spectacular in any season, Gaff Point is one of the trails that we are happy to keep visiting.